Dubai: Finding an apartment to rent in a city known for high cost of living isn’t an easy task. This is especially true if the monthly income is very tight. But the good news is that rents are still on a decline and the budget-conscious who knows where to look for great deals and how to negotiate, can always find diamonds in the rough. According to property experts, now is “the best time ever” to be a tenant in the UAE, as more landlords are looking to fill their flats as soon as possible, and they’re attracting tenants with not only lower prices, but rent-free periods, multiple cheque payments and other incentives as well. “Landlords have never been so flexible with prices, rent-free periods, payment terms and other incentives to attract tenants,” said analysts at Property Finder Group. In fact, they said,asking prices have dropped by more than 15 per cent in the last 12 months alone. Jason, an expatriate looking to find a new apartment, said one landlord has recently offered to lease out a space for an attractive price inclusive of all the utility bills, plus one month rent-free. Yet, he’s still keen on negotiating for a much lower rate. And he might just likely get a better deal. “Landlords who are still paying off mortgages cannot afford their properties lying vacant for too long amid increasing market supply and are hence lowering rents, increasing the number of cheques, offering rent-free periods and in some instances, even throwing in the white goods to woo tenants,” said Property Finder. 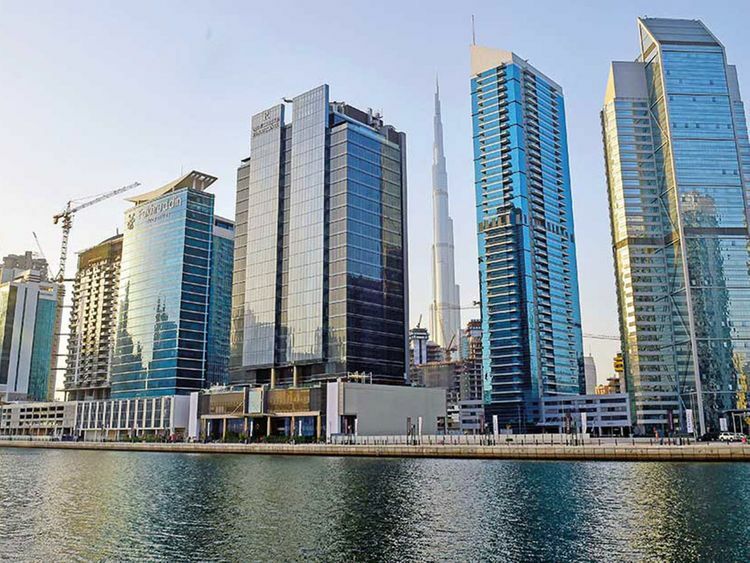 During the first half of 2018, the biggest falls in advertised apartment rents were seen in the Green Community, Jumeirah Lakes Towers and Dubai International Financial Centre (DIFC), it added. The firm has recently put out its “Property Finder Trends” report detailing the median rents for apartments across different communities in Dubai and it noted that the cheapest place to live in right now is still International City where annual rents are hovering around Dh32,998. City Walk is the most expensive, with a median of Dh189,674 per annum. The median asking price for an apartment for rent in Dubai is now just Dh80,000 per annum, down 30 per cent from two years ago. In other emirates, the rents are still cheaper, with Abu Dhabi registering a median rent of Dh71,000, while Ras Al Khaimah and Sharjah offer rents at Dh38,000 per year. In Ajman, it’s just Dh26,000, down 27 per cent from two years ago. However, not all locations are getting cheaper. Those that are centrally located, such as The Lakes, Arabian Ranches and Arabian Ranches 2 even witnessed increases of 1.5 per cent to 3.7 per cent. So, the key to save money on rent is to do a bit of research and some price comparisons. For the most budget-conscious, here are the areas to watch out for.